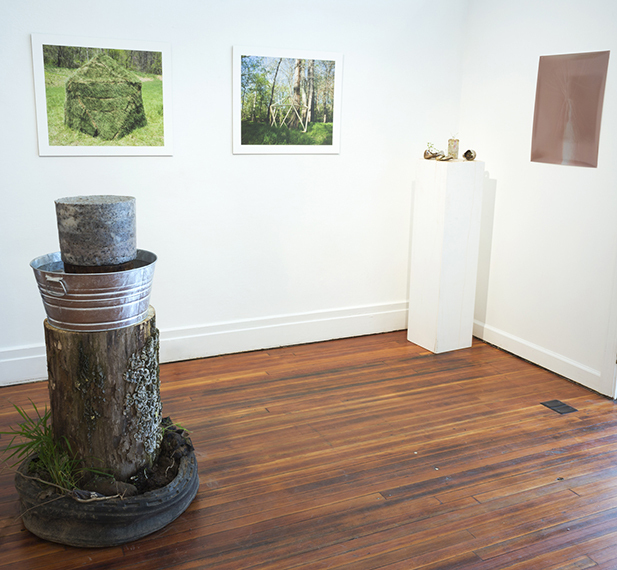 This work seeks to understand our current human-nature ecology; a system fraught with imbalance. 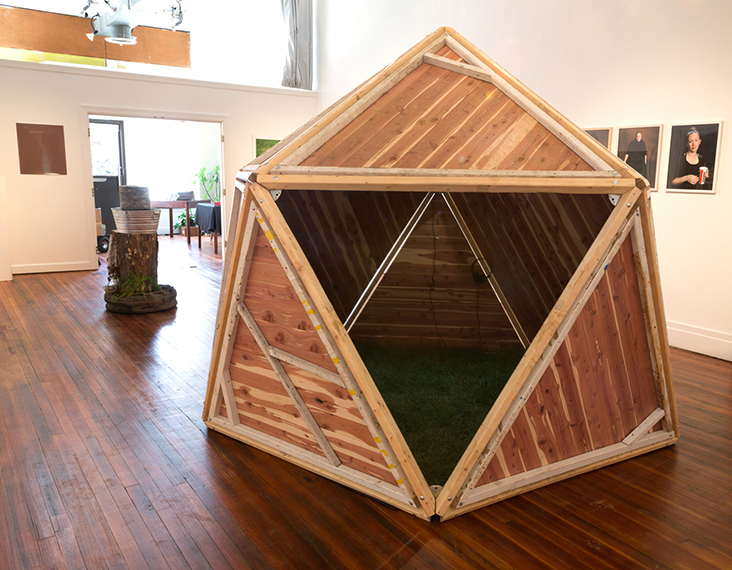 Through multiple experiments, processes, and positions, I hope to evoke both connectedness and urgency through a slowly rooting personal understanding that we are not separate from our environment. 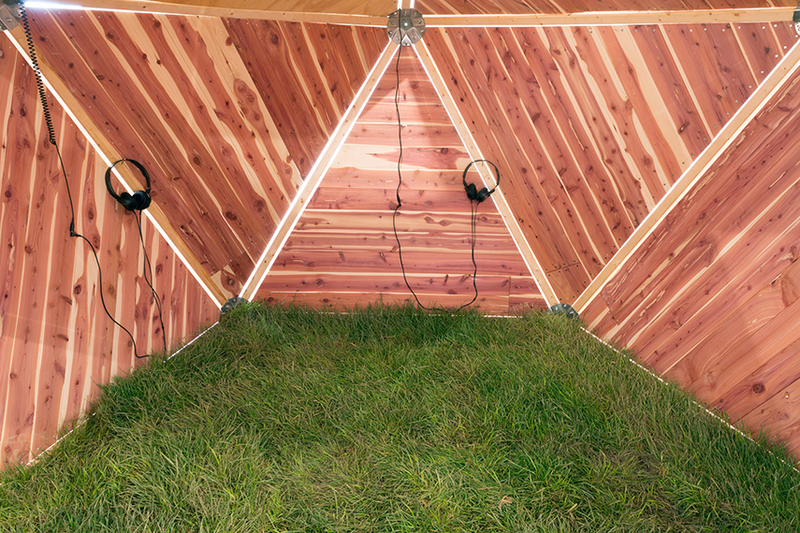 Hut (1v Geodesic Dome), Exterior view, 2014, 7¼’ x 7¾’, pine struts, cedar planks, starplates, sod, foam, headphones, MP3 player, audio recordings from day and night near Monocacy River. 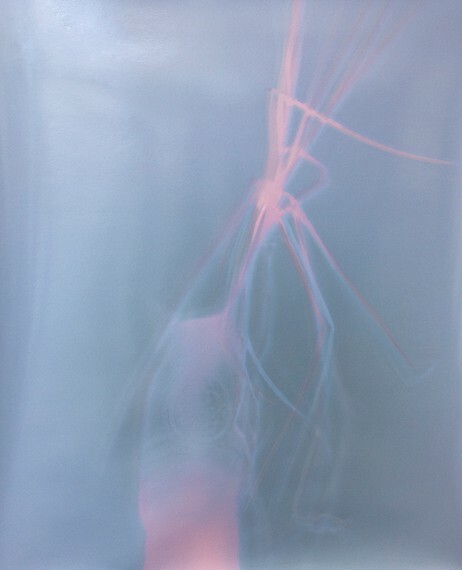 Live Onion Print, 24”x20”, 2014, undeveloped silver gelatin paper. Made with sprouting onion in jar, clamp light, and sunlight over several days. River soap wash tub, soap, log, tub, water, hand towel, found tire and trash, compost. Soap ingredients: Lard, Monocacy River water, lye, soil, wildflowers, foraged cider gum leaves, grass. Visitors washing their hands with the river soap. 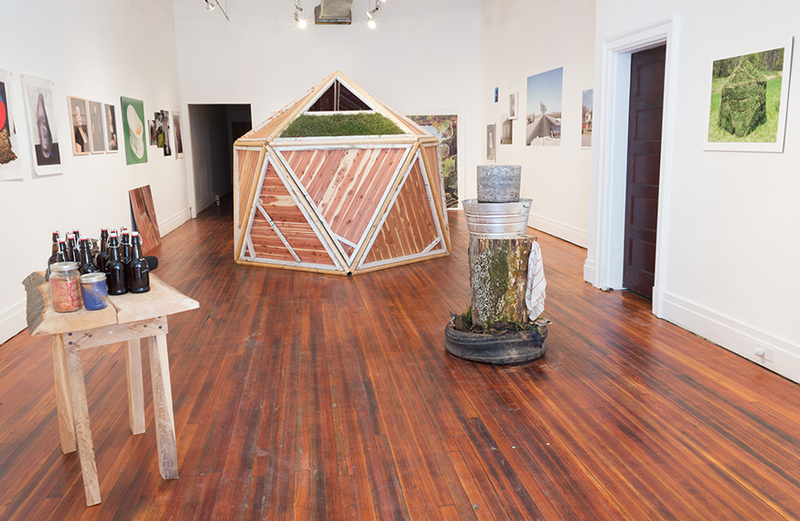 Installation view of takeaways and photographs. Show take-aways/donation table for Sediment. Mead and river soap made in the Pollak studios at VCU. Pressure canned photographs.